The European Parliament Working Group on Antisemitism (WGAS) has sharply criticised the erection in the centre of Budapest of a statue in memory of György Donáth, a wartime-era Hungarian politician notorious for his antisemitic and racist views. “Honouring an avowed Nazi apologist, racist and antisemitic in the heart of one of our European capitals is a deep insult to the hundreds of thousands of Hungarian Jews who perished in the Shoah,” WGAS chairman MEP Juan Fernando Lopez Aguilar said. “We call upon the Budapest municipality and the Hungarian government to prevent this outrageous whitewashing of history and apology for the worst crimes perpetrated on this continent,” he added. Between 1939 and 1944, György Donáth served as a member of parliament for the governing Hungarian Life Party (Magyar Élet Párt). In addition to being the president of its Budapest chapter, he was deputy chairman of the party from 1943. Donáth was an enthusiastic supporter of Hungary’s anti-Jewish laws. He founded an umbrella organisation for smaller racist organizations called “Inter-organisational Cooperation” (Egyesületközi Együttműködés) whose by-laws referred to “the social war against alien races” and called for the exclusion of “those races and nationalities from Hungarian life which we consider to be detrimental to Hungary and the ethnicities living here, primarily the Jews”. The organisation was also a supporter of the National Socialist ideologies. He is regarded as one of the principal ideologues of Hungarian racism and was instrumental in fomenting hatred of Jews, Swabians (ethnic Germans living in Hungary) and Romanians. 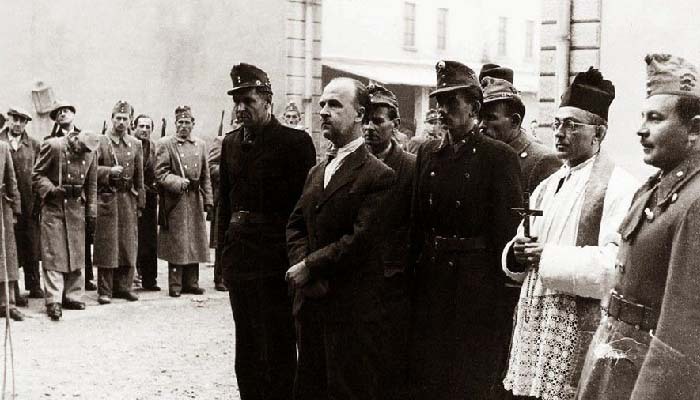 Donáth was executed after the war on charges of conspiracy against the (by then Soviet-controlled) republic for allegedly trying to rebuild the Hungarian Community (Magyar Közösség), a racist organisation previously belonging to the umbrella organization he founded. “We are particularly shocked by the apparent government approval for the erection of this statue, which is displayed by the scheduled presence of Fidesz deputy chairman Gergely Gulyás and former Prime Minister Peter Boros to officiate at its unveiling,” MEP Aguilar said. Previous post Parliamentary question: The impact social media stakeholders have on European citizens and rising anti-Semitism in the wake of increasing radicalisation Next post The far Right is rising and anti-Semitism is back in Europe. How short is our collective memory?